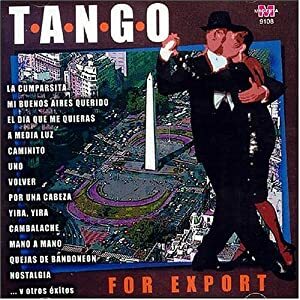 In the 1980s when social tango was re-emerging in Buenos Aires among the returning milongueros, young people only came to the tango because they were interested in performing it. They came from one of two worlds, folkloric dancing (tango for schools or big folk performances) and tango for export (tourist oriented stage shows, and for the select few: Broadway!). These young people included a class of women who had never really been a part of tango before, trained modern and ballet dancers, and they revolutionized the decorative part of the follower. The young woman of the 80s, led by Vanina Bilious, Carolina Iotti, Inez Borges, Milena Plebs, Aurora Firpo, Anahi Zlotnik, Zoraida Fontclara, and many others began the trend of bringing stage decoration, designed for sharing the the tango’s “intimacy” with the folks in the third balcony, onto the social dance floors. Because they were the adopted daughters of the milongueras, and because the strict authoritarian leadership of the milongas was now people in their 60s and 70s, the “kids” were tolerated, even celebrated, in their youthful exuberance, even if they were taking vulgar liberties with the form. At the time the older generation was sure that the form, that is social dancing, was dying with them. The kids would end up only being an homage to real dancing, but on the stage. Then, as tango’s modern revival caught on with the younger generation, came the introduction of “follower’s technique” for social, or improvisational, dance. The prime movers were Graciela Gonzalez, Olga Besio, Rebecca Shulman, and other dancers who were primarily social dancers and improvisors. They took an interest in the dialogue between lead and follow, and how flexible and versatile were the options for the follower. Now, years later, and well into tango’s revival we have a situation where women coming into the dance may not fully appreciate how much the dance has evolved in recent years, or just how much they owe the pleasure of following in the modern tango, to this small group of pioneering women of the young generation, who together set the table for the tango’s conversation between lead and follow as it is played played out on today’s dance floors.